As Guy Kawasaki author of ” The Art of the Start” says, “ENTREPRENEUR” is not a job title: it’s the state of mind of people who want to alter the future. Doing, not learning to do, is the essence of entrepreneurship. In Spring of 2008 I took Entrepreneurship class in my college, it was one of the best class I have ever taken in my entire life. Our professor introduced us to the world of possibility and reality. 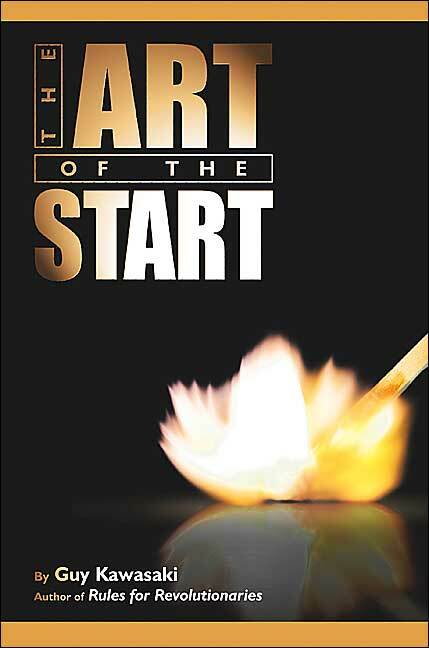 He also introduced us to the book, also know as bible of entrepreneurship ” The Art of the Start” by Guy Kawasaki. I am going to take you to the brief journey into the world of entrepreneurship, and make you realize that YES I CAN do it feeling :-). People have this misconception that Entrepreneurship is only for the chosen ones. The steps provided by Kawasaki makes it so simple and doable. The thing one needs are IDEA/think differently, and DETERMINATION to pursue your dream. “TRUST THYSELF.” If you can’t trust yourself, who will?? I you like further reading…then please take a peek view on whats in the Book.